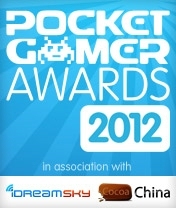 The award was announced Tuesday night, March 6 at ceremonies held at the Game Developer Conference in San Francisco. Learn more about Ticket to Ride for iPad or download it from the App Store. This entry was posted on Wednesday, March 7th, 2012 at 05:16 and is filed under Blogroll, Days of Wonder Online, Ticket to Ride. You can follow any responses to this entry through the RSS 2.0 feed. Both comments and pings are currently closed. Well deserved!! Congratulations on another award for an already well recognized game…let the good times keep rolling! Congrats! I love this game for the iPad and board versions. When will new maps be available for the iPad version?